Accor's Sofitel luxury badge will reflag the Hotel Concorde Berlin in February. The 311-room hotel will be renamed the Sofitel Berlin Kurfurstendamm. 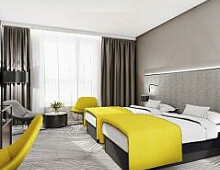 The hotel, which also includes 16 conference rooms and a ballroom, will be the fifth in Germany under the Sofitel brand. An additional Sofitel will open in Frankfurt in 2015. The 25th anniversary of the fall of the Berlin Wall will come on 9 November 2014. Many special events and exhibitions to commemorate the anniversary of this historic event are planned across the city. 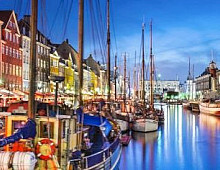 Themes include the division of the city, the Cold War and the events leading up to peaceful reunification in 1989-1990. On 5 and 6 July 2013 there is an opportunity to see the breathtaking spectacle 'Wagner_reloaded' at Leipzig Arena. Celebrating 200 years since the birth of Richard Wagner, this sensational crossover show features the rock band Apocalyptica and numerous acrobats and dancers. It promises to be a memorable evening and an event not to be missed! While in Leipzig, fans of classical music might want to enjoy a concert by the eminent St. Thomas choir – once under the charge of Johann Sebastian Bach – which are given three times a week at the Church of St. Thomas. A guided tour focused on the peaceful revolution of 1989 also offers interesting insights into the city's colourful history.